Kasabian are one of those bands that tend to give an advance summary of their new music, but sometimes miss-fire by throwing false clams out there. For this, their sixth opus, guitarist Serge Pizzorno stated that he had felt the need to return to guitar music instead of the bubbling electronic output of former album ’48:13′. Whilst there are hints that this is true, ‘For Crying Out Loud’ tends to not be the epic, all guns blazing return we had hoped for. The opening trio of ‘Ill Ray (The King)’, ‘You’re In Love With A Psycho’ and ‘TwentyFourSeven’ do exactly as suggested. The guitars are turned up loud, the power chords are cranked out under frontman Tom Meighan’s vocals, and the rhythm section are thumping. However, as much as this is a nice return, it is far from what we expected. Lead single ‘You’re In Love With A Psycho’ comes across more of a damp squib than let’s say ‘Cutt Off’ or ‘Switchblade Smiles’ from their back catalogue. It’s more pop than rock, and although incredibly catchy, it is far from the riff laden monster we had been expecting. There are moments of genius. The album lynchpin is ‘Are You Looking For Action?’, an 8-minute epic crawl from rock n’ roll through to a semi-Primal Scream ‘Screamadelica’ inspired acid house trip. There is also the proper guitar track ‘Bless This Acid House’, which does flirt with riffage and brings the band back to an arena anthem status, but still feels like it was knocked out and recorded in half an hour. ‘Wasted’, ‘Put Yer Life On It’ and ‘Sixteen Blocks’ feel more like bsides or demos at best. Whatever the formula is, it hasn’t worked well. 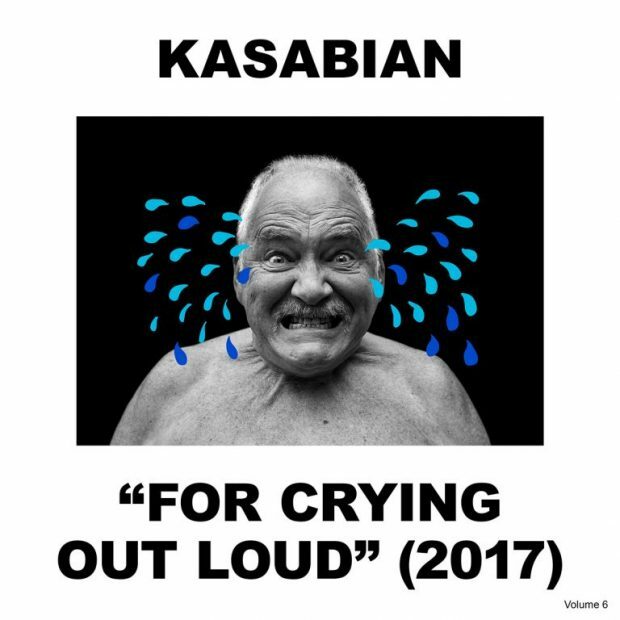 Kasabian have never been the strongest lyricists throughout their catalogue, but Meighan and Pizzorno’s lyrics on ‘For Crying Out Loud’ seem to be half in dreamland and half attempting to document the world today. However, the shift in the general music fan these days tends not to pay too much attention to lyrics but instead finds the rhythm. When performed live, the tracks are bound to take on a life of their own and become further classics in the Kasabian arsenal. Whilst ‘For Crying Out Loud’ will not win over any new fans for the band, they will continue to reclaim long standing fans with another round of fun and tunes. Bless Kasabian for trying to re-find their original spark, but at six albums in, they should be bold and confident in where their music is and what they are experimenting with. This time around it seems like they are relying too heavily on their general cockiness and over-confidence instead of immersing themselves in their art. A good but disappointing album from the Leicester legends.